Are Solar-Powered Cars the Future? 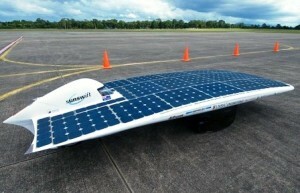 The idea of the solar car is relatively new on the market and holds very real promise. If successful, the solar car will offer the ability to drive anywhere without burning any environmentally damaging fuels. 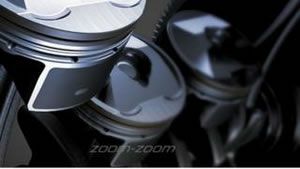 John Harrington for 247WallStreet: Mazda said in a press release that the engine technology will be up to 30% more efficient than the carmakers conventional systems. It hopes to have the system ready for 2019 models. 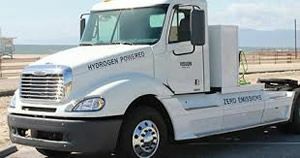 Science Daily: Heavy-duty trucks will soon be driving around in Trondheim, Norway, fuelled by hydrogen created with solar power, and emitting only pure water vapour as "exhaust." Advancements in battery technology and recharging capabilities will drive adoption. 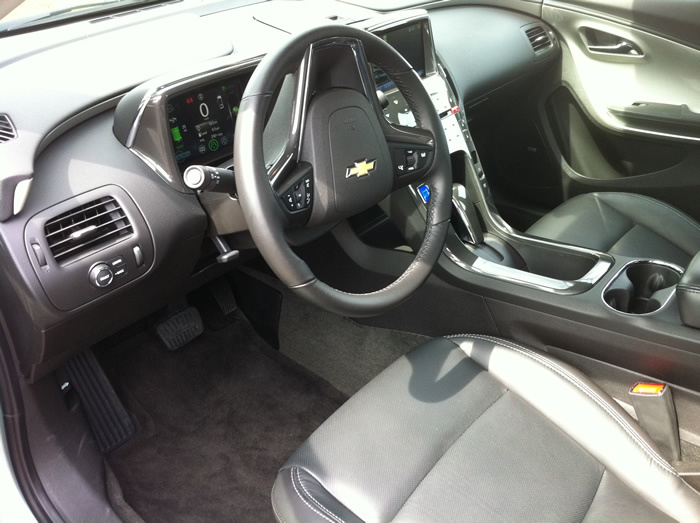 Since the beginning of 2013 we have not only seen fast-charging stations that rapidly refill a battery but also wireless recharging capabilities and battery swap techniques. When many college students were heading to the beach for Spring Break, the Mississippi State University EcoCAR 2 team was at the Gulf Coast Children's Fair in Biloxi, Mississippi. The two-day environmental event organized by the Gulf Regional Planning Commission and the EPA gave MSU students a chance to talk to local elementary students about pollution and the benefits of keeping the air clean. 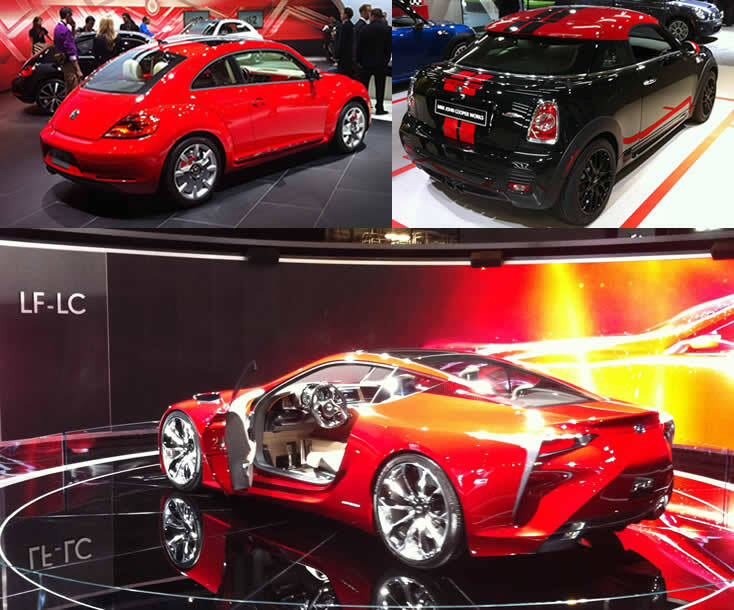 Despite all the glamor, the real winner, the game changer, the quantum leaper, the watershed moment was here at the Autoshow and the Mainstream Automotive Writer's completely missed it. 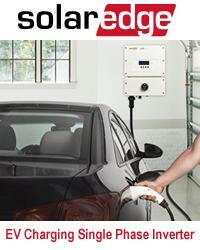 According to the company's stats, the Sunswift IV produces about 1200 watts - the same power it takes to run a toaster. 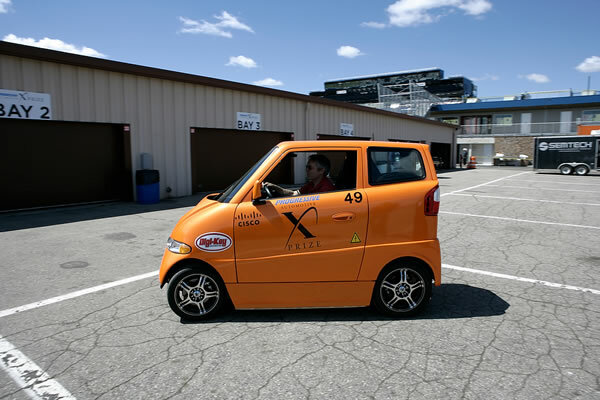 The intention and purpose of the Progressive Automotive X-Prize could actually not be higher… to simply see who could produce a vehicle that could achieve a 100mpg rating without cluttering up the atmosphere with noxious gasses. We got the opportunity to interview the three leading teams in the EcoCAR Challenge namely Mississippi State University, Virginia Tech and Pennsylvania State University. These are the future leaders in the alternative energy transportation industry and it shows in their enthusiasm. The Progressive Insurance Automotive X-Prize is a huge undertaking involving Establishing a venue, staffing, training, developing tests, setting up Consumers Reports Certifications, and taking over the Michigan International Speedway in the outback, near a small town named Brooklyn in our fair State of Michigan. 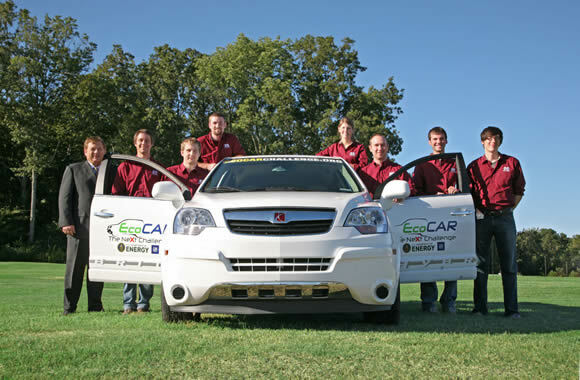 EcoCAR: The NeXt Challenge is a three-year collegiate student engineering competition that focuses on vehicle integration of advanced propulsion technologies. 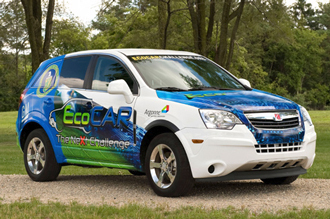 The competition challenges 16 universities across North America to reduce the environmental impact of vehicles by minimizing the vehicle's fuel consumption, petroleum use and emissions, while maintaining its utility, safety and performance. The Competition may be a far more important Competition than realized. The goal is to beat 100 MPGe and provide beautiful, affordable transportation. That means the equivalent of 100 miles per gallon (gasoline) equivalent. This is done to level the playing field regardless of the fuel being used by the vehicle. Hence the vehicle can be powered by battery stored electricity and the energy usage can be measure equivalently with traditional gasoline.